Enrollment into the program in Quebec and Ontario will begin early in 2019. For more information, visit the My Active Health website. 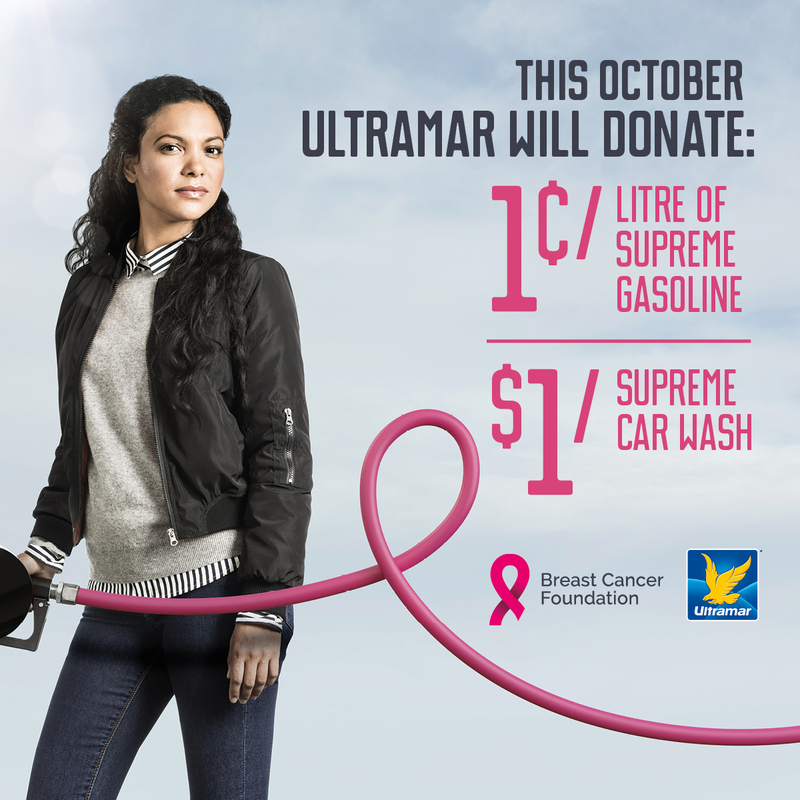 To mark Breast Cancer Awareness Month, Ultramar is calling all drivers to visit one of its service stations to help make a difference! For the month of October, 1cent from every litre of Supreme gas sold and $1dollar from every supreme car wash will be donated to the Quebec Breast Cancer Foundation to help develop the myactivehealth kinesio-oncology program in collaboration with the CHANGE program. Let’s help fight breast cancer, one tank at a time!